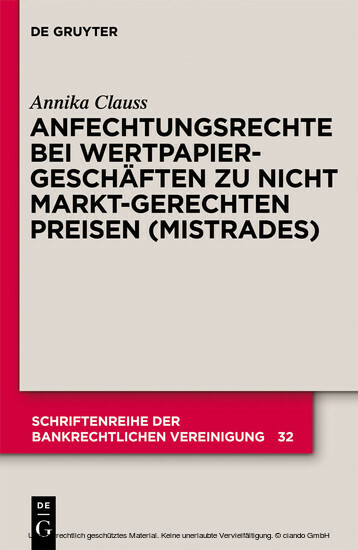 Over the past few years, an increasing number of cases have come to light in which securities transactions were erroneously concluded at non-market prices, i.e. so-called “mistrades”. The examination considers the rights of those involved in “mistrades” to nullify the transactions.